When moving forward with a mortgage home loan a loan package will be sent to formally start the process. The loan disclosures need to be reviewed, signed, and returned as soon as possible. Without these signed disclosures we are unable to move forward with your loan. The loan package disclosures will have two parts. The first part will consist of 25 to 30 loan disclosures that can be e-signed (instructions below). The second part will consist of about 4 pages that required “wet” signatures. This means you will need to print these documents, sign them, and return them via fax, email, upload, mail, etc. 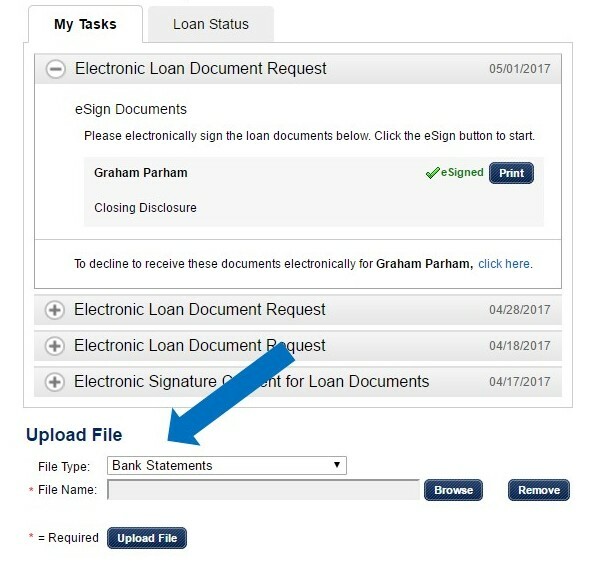 There is a quick outline of how to e-sign the documents in your loan package as well as a step-by-step video with more detail. Here is the link as well Online Video Tutorial. Please call us if you have any questions as we’re here to help. If you don’t see this email, It may have been mistakenly flagged as spam and placed in your junk mail folder. Follow the instructions in the email to activate your account and click on “Click here to Visit the website” and consent to receive documents electronically. 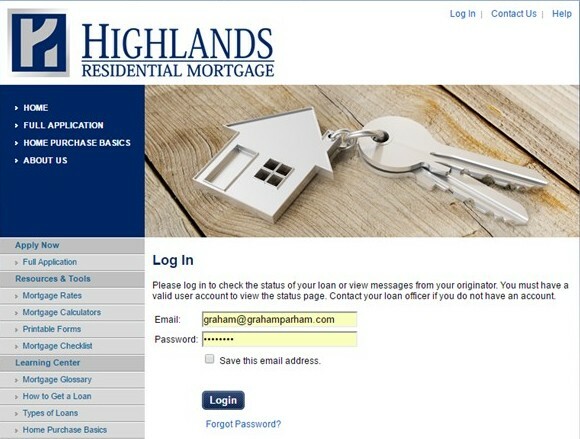 Log In – Your username is your email and create a password the first time you log in. Make sure you remember your User name and Password and even auto save it on your browser so you can remember to use it again during the process. There are several pages, click Next Page to continue. Once all documents have been eSigned, click FINISH. Once completed, an email will immediately be sent to The Parham Team alerting them that you have completed the eSigning package. Each borrower will be responsible for providing wet signatures for three additional disclosure forms which will NOT be available for esigning. These will be sent to you in a separate email with a Portable Document Format (PDF) attachment. The attachment will have to be opened and printed, signed and sent back to The Parham Team for validation. *The last item attached to this email is a Credit Card Authorization form. Please note that the appraisal is the only up front cost we ask for outside of closing and will range between $525-$595 for each standard non-owner occupied appraisal. Please return all items at your earliest convenience via scan and email to The Parham Team, Toll Free Fax to (855-326-6801), or upload to the system in your login section. Please feel free to reach out if you have any questions at all. Thank you!